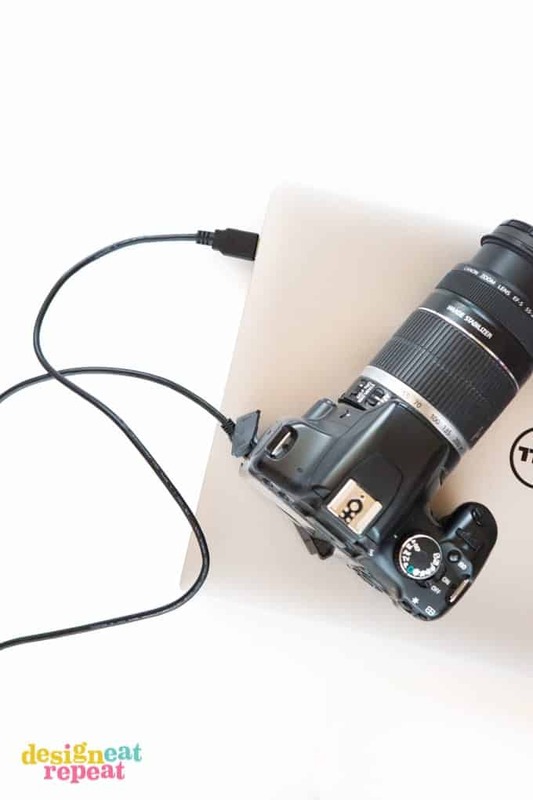 How to Tether Your Camera to Your Computer! Ever wonder how photographers, stylists, and bloggers get those perfectly styled photos where *everything* seems like it was perfectly placed? 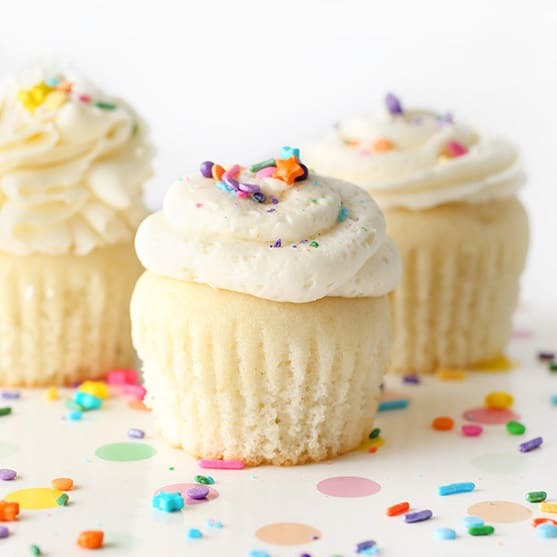 While the final shots may look like they were a product of an effortless styling goddess using magical photo powers, I’d bet you my entire collection of sprinkles that the final image is just one of MANY shots that were adjusted, restyled, and recomposed multiple times before the final shot was decided upon. One trick that has helped me train my eye for styling over the years has been something as simple as reviewing my photos on a big screen as I’m shooting. 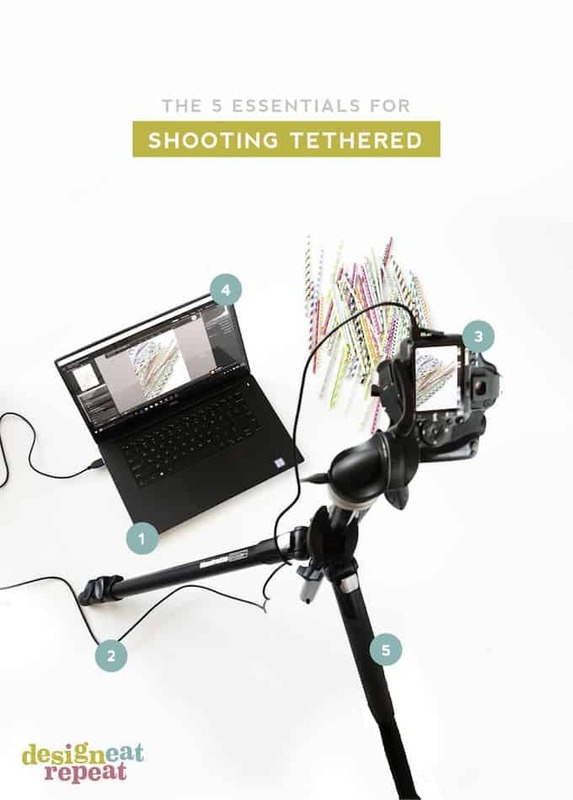 So today, I’m sharing with you a simple method for tethering your camera to your computer to help you achieve those perfect shots! When I first started blogging, I shot mostly freehand (i.e. without a tripod) and pretty much just snapped hundreds of photos hoping I’d find one while editing that had the composition I wanted. And while that’s definitely one way to get that “perfect shot”, along the years I found that I wanted to have more control over my shots while I was shooting. I no longer just wanted to take a shot in the dark (pun intended) but I wanted to, in a way, art direct the shots as I went along. I wanted to be able to move things around while I still could instead of seeing the final shots on my computer and wishing I had moved that coffee mug just a tinnnnnyy bit to the left. 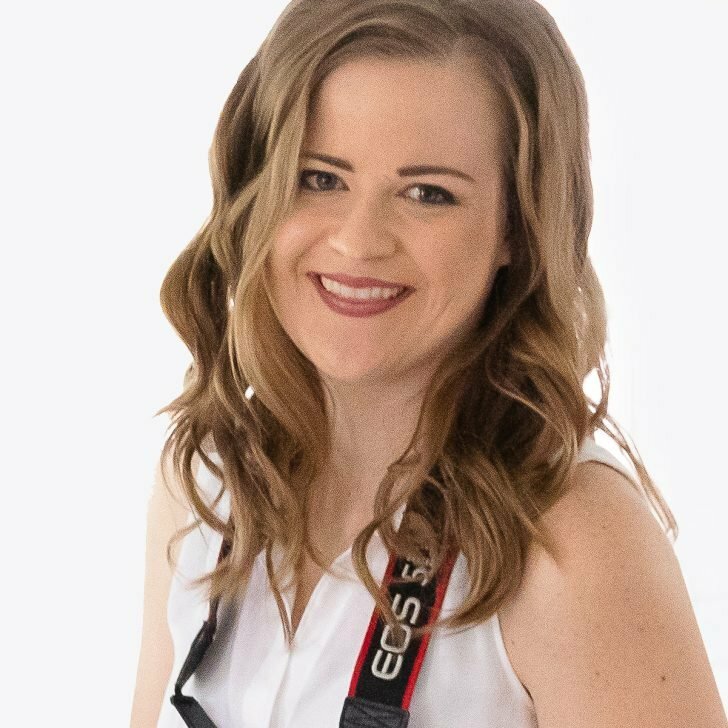 I’ve worked in several photo studios in the past and the ones that were getting the most intentionally styled (professional) images were the ones that were viewing the images large on screen in between every shot. This not only allowed them to move things around, but it also allowed them to zoom in and make sure the image was sharp. 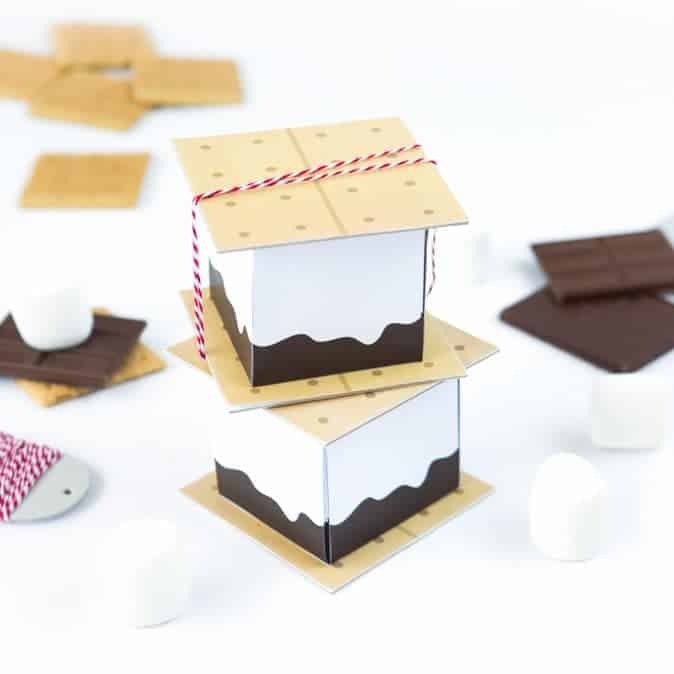 Because as I’m sure many of you photographers/bloggers out there can relate to, realizing that NONE of the images you shot are in focus after you already tore down the set/gave all the food away to your family is the absolute worst. The tiny screen on the back of the camera can be deceiving in making you think the image is clear, when in fact it’s blurry and out of focus. And even if you zoom in on that tiny screen and things look clear, you may be amazed at how much sharper of an image you can achieve when you’re shooting with a tripod and can actually see the image large on screen before moving to the next shot. It’s life changing, friends. So with all that said, I’m a big advocate of tethered shooting as I really believe it can help us fine tune our styling eye and start analyzing shots in greater detail. It’s how I’ve done all my client styling projects over the past few years and I rarely shoot without it. 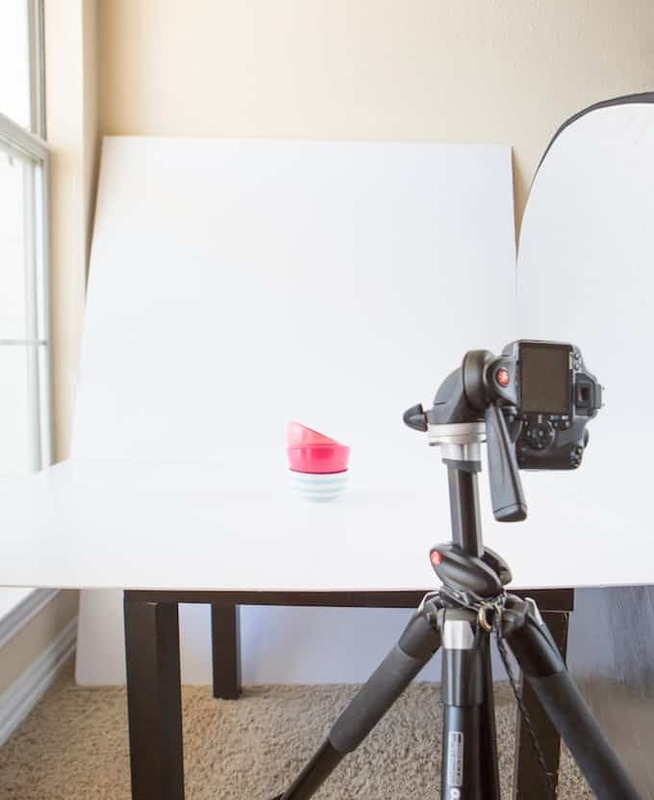 When it comes to blog photos or styling overhead shots, composition is key and being able to tether and tweak is gold for all of us perfectionist out there. The first shot I take is never close to the final product but after seeing how it’s composed on screen, I’ve been able to teach myself how to pinpoint what I like/dislike about the composition and adjust things (a lot) until the composition is something I’m happy with. The obvious thing you’ll need is a computer. I solely use my laptop while shooting (as opposed to my desktop monitor) as I need something portable that I can take on location during shoots. 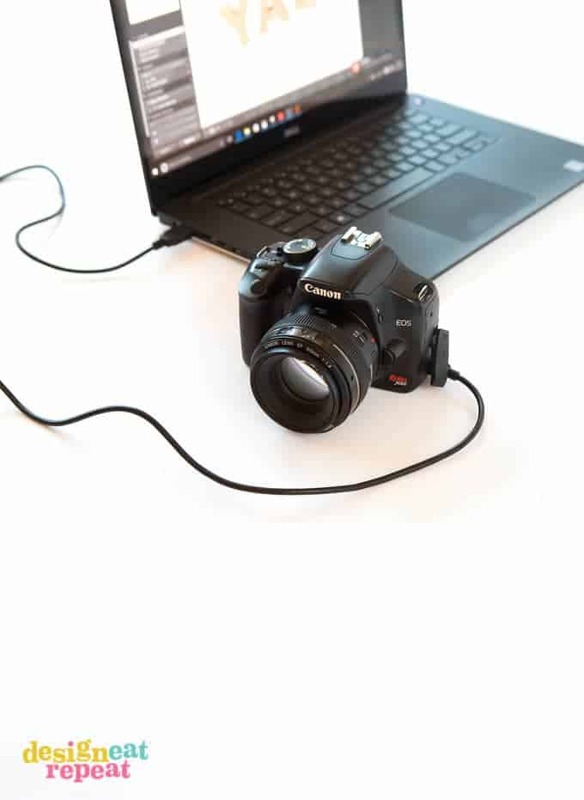 The main reason you are tethering in the first place is so you can see the image large on your screen as opposed to the small display on the back of your camera. So you’ll want to use a decent sized laptop screen to make it worth the effort of tethering. If you just connect it to a tiny computer screen, it probably won’t be as effective in seeing all the fine details. I’ve been shooting solely with my 15″ Dell XPS 15 laptop lately which has a nice big InfinityEdge screen size for photography & also holds a charge a lot longer than my old MacBook Pro college laptop. Which means I can move it around and take it on location without having to worry about plugging it in after an hour. 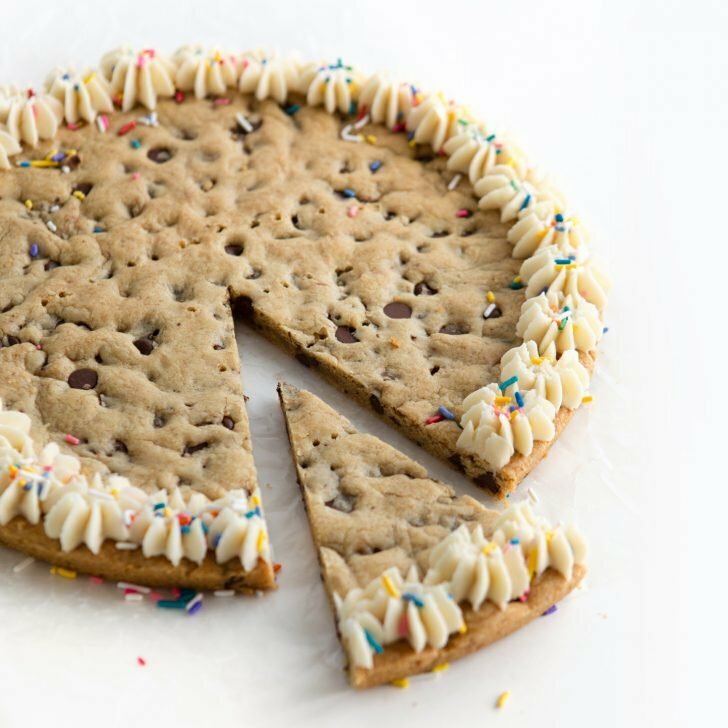 I personally struggle designing or editing photos with any laptop lower than 15″, but a 13″ would also be suitable for this kind of thing as long as you feel like you can see the details. 3. The third thing you’ll need is a camera, of course! I’ve been shooting with a Canon Mk III the past year, but prior to that I shot solely with my Canon Rebel XSi (both using that same $9 tethering cable). You’ll want to check if your particular DSLR has the capability for tethering on the software site, but most new/modern DSLR’s do (and some point and shoots). This is a great resource of what cameras tether to Adobe Lightroom. 4. The 4th necessity in being able to live tether is the appropriate software that will allow you to display the photos on your screen seconds after you hit that shutter button. 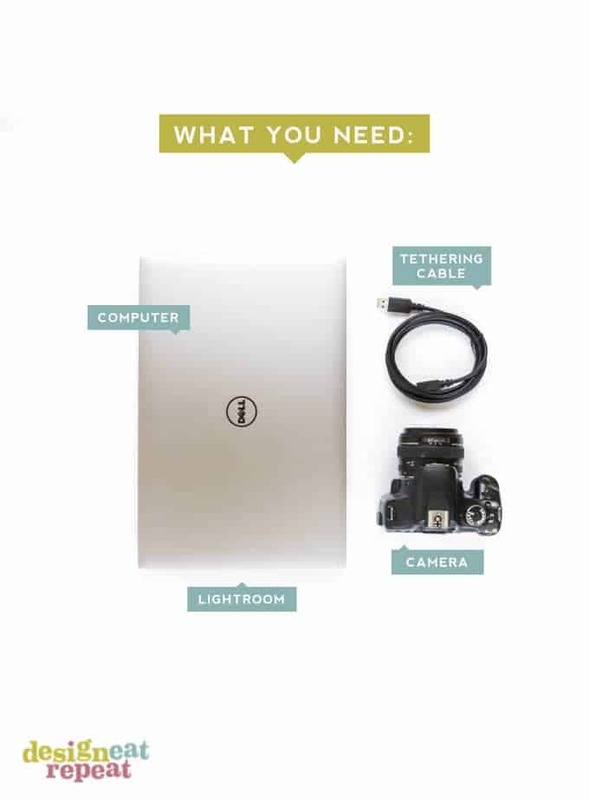 I feel as though Adobe Lightroom is the most streamlined program for my workflow, but there are many other tethering programs out there that will allow you to do similar things. If you have a Canon, you likely received a CD with the Canon EOS Utility software on it. I’ve dabbled around with it a few times, but found Lightroom to work better for me. Lightroom allows you to instantly save all the photos to a Lightroom folder and has a button on screen that you can click to trigger the camera to shoot. So if you’re working in tight quarters and don’t want to lean over the camera every time you want to shoot, the button on your computer screen is great for that. I often sit on the floor next to my laptop/subject while the camera is a few feet above me on the tripod & this button allows me to move and style things in the photo without having to stand up and click the camera’s shutter button after every little move. The other thing I love about Lightroom (and no they’re not paying me to say this!) is how I can “flag” an image as I’m shooting. This cuts out the post-shoot weeding-out process I used to go through and allows me to tag the final photo. I’ll typically choose a few finals, delete the rest (which is hard to do! ), and then move on to editing. 5. The final item I find helpful when shooting tethered is a tripod. About 99% of the time I shoot tethered it’s because I need to move tiny things on my photo board between shots, but I don’t want to A.) stand up between every shot and B.) I want my “crop” to stay the same in between each of those shots. Often times a photo will be the perfect composition with the exception of a few sprinkles and the tripod allows me to quickly adjust those items, resnap, and have the same crop. So now that we went through that, how do you make it happen? It’s easier than you might think! After plugging in your cable to both your computer & camera ports, open Lightroom and give it a few seconds to recognize the camera (mine sometimes takes a few on/off switch flips on the camera before it recognizes it). After Lightroom is opened, go to File > Tethered Capture > Start Tethered Capture. 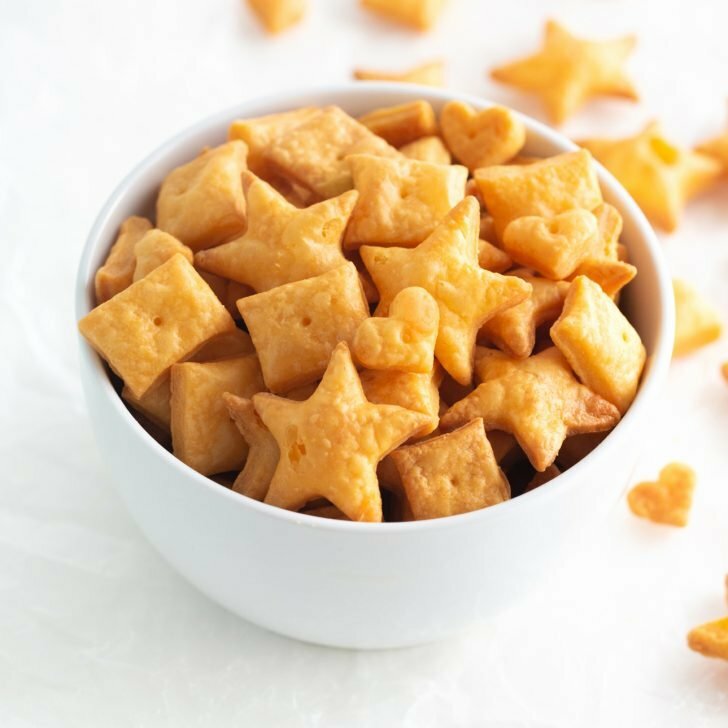 This will allow you to create a separate folder for the photoshoot, so if you’re a food blogger shooting brownies that day, you can name the folder according to that! It’s a great way to organize your photos even before beginning to shoot. Once you choose the folder and hit next, a little bar will appear. It should state your camera model, and when it does, it means it’s good to go. To test if it’s working, try clicking the circle button on the right of the bar. If it’s working, it will cause your camera to snap a photo. Depending on the speed of your cable (one reason you want a high-speed cable) your photos will pop on the screen instantly or within a few seconds. And that’s it! Keep snapping until you get that perfect shot, do a little editing, and they’ll be ready to make their internet debut! So bloggers/photographers out there – do you regularly shoot tethered or go freehand and use the viewfinder to determine if you’ve got the shot? 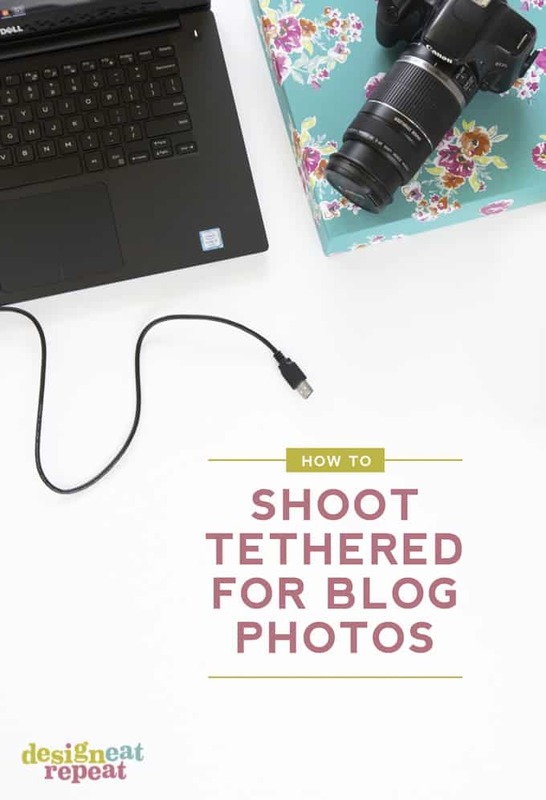 Have you found shooting tethered gives you a more satisfying final photo? I’d love to hear your thoughts, so leave a comment below and let’s chat! 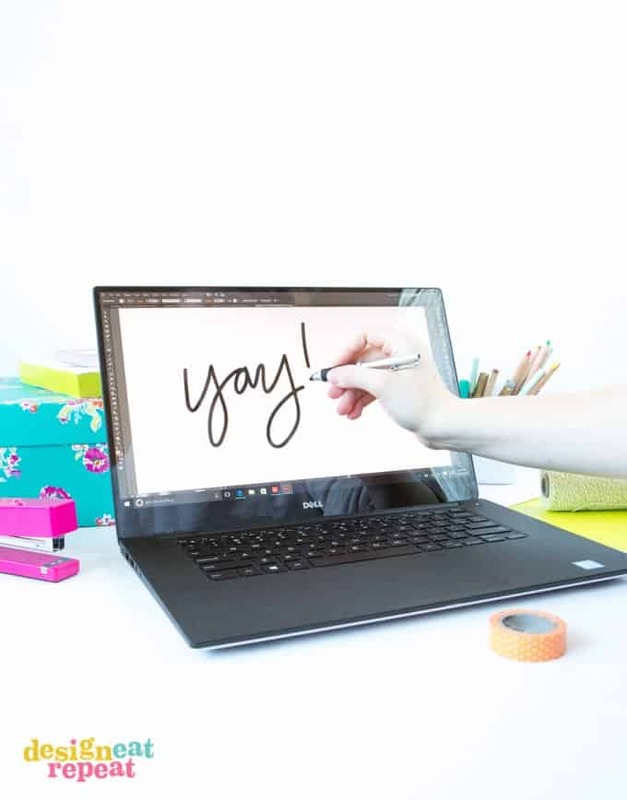 This post was created in partnership with Dell and the new #DellXPS 15 Intel 6th gen processor laptop. All content, templates, and opinions are that of my own. Thank you to my partners who help keep this blog & free printables running! For more design resources, head on over to the resource archive! THANK YOU for this thorough tutorial. I really want to start doing this, and you’ve given me the confidence to start! You’re welcome, Megan! Glad you found it helpful!